I finally completed my 2015 block-a-month crochet along blanket! And I love it! Just as I was reflecting upon the other day, I get so much more work done and so much more efficiently when the colors I’m working with motivate me. These colors are fantastic as well. They’re bright, cheerful, and they make me really happy. It’s always a treat to finally put together a crochet blanket. They take long enough as it is, and they take me double the time they would normally take someone (or longer!) because I tend to work on so many different projects at once, depending on whatever mood I’m in. And it was also fun selecting a border for the blanket too. When I originally finished putting the squares together, the blanket was a little more square and less rectangular than I wanted it. So I decided to offset that by adding an extended border only on the two ends of the blanket. The border adds another 8″ to the blanket and the lacy pattern accents the squares quite well, I think! For all those who have been asking, I’ve made a graph of the blanket layout. Below, you can find the link to each and every square (there are a couple that have become unavailable since then and a couple that have upgraded from a free pattern to a paid pattern), but overall, the general gist of the blanket can be found below. I’ve attempted to make sure that all information has been updated, link-wise, at the time of this post. So without further ado, I present to you my lovely 2015 bamcal blanket! Patterns are free at time of this post unless otherwise noted (though this may change at any time). Numbers of pattern names coordinate with the layout graph at the top of the page. 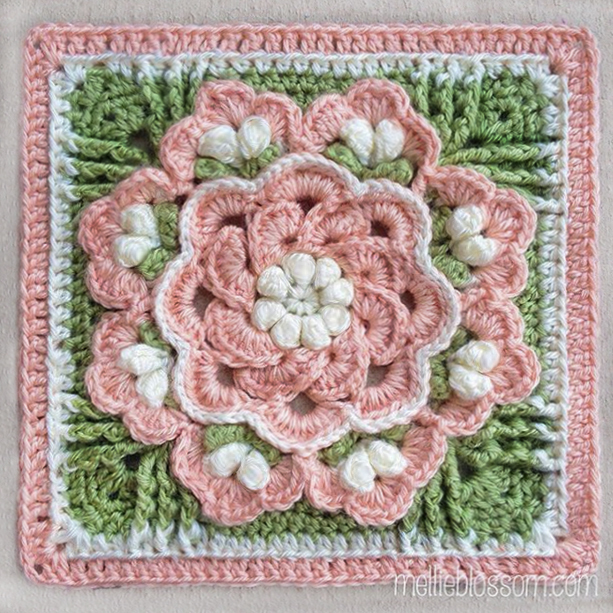 The squares are either 12″ (the large squares), 9″ (medium sized), 6″ (smaller ones) and the 3″ granny squares. I adjusted the patterns as necessary, adding or deleting ending rounds in order to get to these sizes. Finished blanket is 6′ x 5′ excluding border. Round 1: chain 3, 2 more dc in circle, chain 2. [3 dc, ch 2] around 3 more times. Round 2: in corner, chain 3, 2 more dc, ch 2, 3 dc all in corner. Ch 1, 3 dc in next sp, ch 1. Corner as [3dc, ch2, 3dc] around. Round 3: corner as previous round, [ch 1, 3dc] across to corner. Ch 1, corner, around. 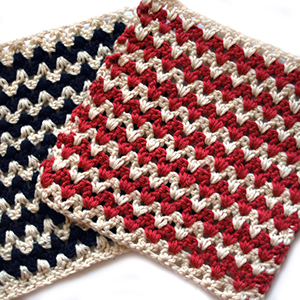 These squares were part of the crochet-along, but for one reason or another didn’t fit into the final blanket. I’m including them because I do hope to eventually make a coordinating pillow with them. Your blanket is absolutely beautiful!! Congratulations!!! The blanket is GORGEOUS!!! Wow! You do such gorgeous work! I’ve been admiring each square as you posted them. I love your color choice. What a treasure you’ve made! Thank you for sharing it with us. I should have posted my question here, so, I’m re-posting. Do you know what your yardage was, by color? This is so beautiful, I have to make it. I also need to make this throw. Just lovely.